Plans for the first two Certified CA Grown entries at the 2018 Tournament of Roses Parade are already underway, and the ramp up to the New Year’s Day tradition has just begun. The entries from Cal Poly Universities and FTD Companies Inc. – the first to announce so far – will both feature CA Grown flowers and foliage. Additional CA Grown entries will be announced in coming weeks. Cal Poly Universities’ float is titled “Dreams Take Flight” and will feature baby animals flying airplanes amid a whimsical landscape. Cal Poly students are currently working on the miniature scale model of the float, and the chrysanthemums that will adorn it are already in the ground due to their 18-week growing cycle. 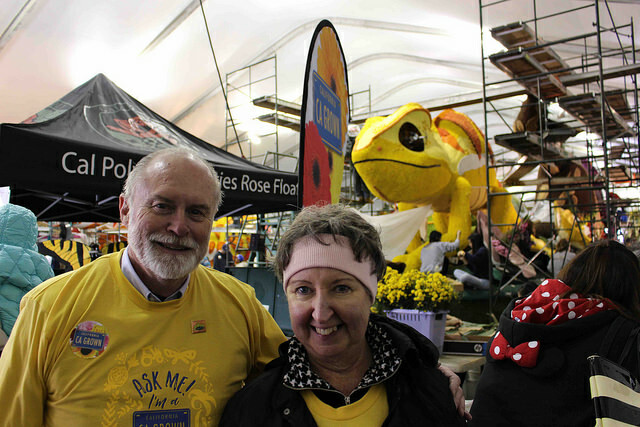 This year’s float will showcase more CA Grown flower varieties than ever before thanks to a deck design that allows for large mixed arrangements in addition to the chrysanthemums and gerberas that cover the float’s characters. The chrysanthemums have been generously donated by GroLink Plant Co., while students at Cal Poly San Luis Obispo are growing (and will dry) the statice and straw flower for the float. Anna Kalins speaking to guests about the gorgeous California grown flowers being placed on the Cal Poly float. 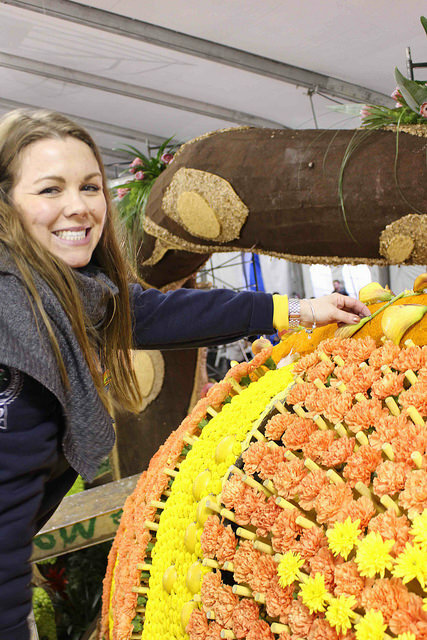 The California Cut Flower Commission’s (CCFC) Anna Kalins, who leads the organization’s Rose Parade efforts, is seeking additional flower donations for the Cal Poly float. In the past, 25 farms have donated flowers to the effort. Our Ambassadors enjoy the experience of getting to go behind the scenes and talking with the public about our amazing California Grown flowers. 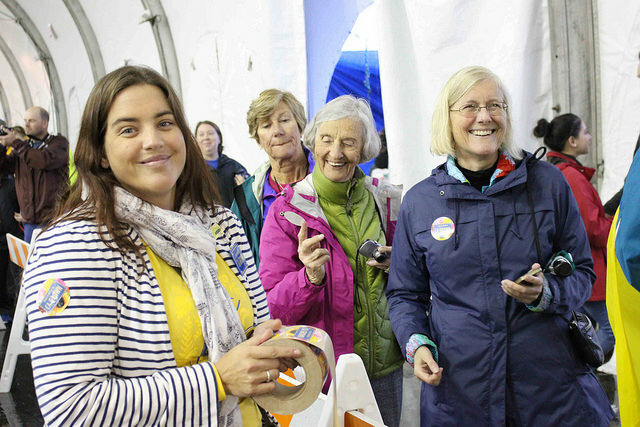 Also needed are Rose Parade ambassadors to help at the event itself and in the days leading up.